Nordic drama has made its mark on the international stage over the last few years. But what’s coming next? A good source of information is the Nordisk Film & TV Fund, which provides regular updates on shows in development, production and distribution. So this week we look at some of the latest developments from the region. Next Summer: Bob Film is remaking Norwegian comedy Next Summer for Kanal5/Discovery in Sweden. The original version aired on TVNorge/Discovery and was one of the country’s most popular local TV dramas. The Swedish remake, which will air in 2017, centres on a man who shares a summer house with his wife and in-laws in Stockholm’s archipelago. Bob Film also remade the Finnish drama Nurses for TV4 Sweden. That show, known locally as Syrror, launched on October 19, attracting an audience of one million. It’s part of wider trend of local Nordic adaptations that also includes Gåsmamman and Black Widows. Bob Film is also working with Sweetwater on a crime drama called Missing (Saknad) for CMore and TV4, which focuses on the investigation into the murder of a young girl in a Swedish Bible-belt town. Bonusfamiljen (The Bonus Family): Nordisk Film & TV Fond has just allocated a total of NOK9.4m (US$1.14m) to a slate of new film and TV projects. One of them is season two of The Bonus Family, a comedy drama about a recomposed family and the complications that go with it. Season one is due to air on SVT in 2017, as well as on NRK, YLE, RUV and DR. Season two, granted NOK2.4m (US$290,000), started filming in September and will continue until February 2017. Downshifters: This Finnish series has just secured a French sales rep (ACE Entertainment) while Sweden’s Anagram has optioned remake rights for its own market. The 10-part comedy from Yellow Film & TV has been generating a good buzz since it launched on OTT service Elisa in late 2015. More recently, it aired on YLE2 and established itself as the second most watched programme. The series tells the story of a couple who face financial problems and are forced to cut down on their extravagant lifestyle. A second series, Upshifters, will launch on Elisa in December 2016. The Rain: News of this Danish show has been doing the rounds in the last couple of weeks. Produced by Miso Film (Dicte, 1864, Acquitted), The Rain is a dystopian drama commissioned by Netflix. The series is set in Copenhagen 10 years after a biological catastrophe that wipes out most of the population in Scandinavia and sees two young siblings embark on a search for safety. Guided only by their father’s notebook about the virus and the hazards of this new world, they start a dangerous journey through the country and join up with a group of other young survivors. Miso has had a busy few months, with the second season of Acquitted recently launching on TV2 in Norway. Midnight Sun: This Swedish/French crime show recently debuted to 1.39 million viewers (38.1% share) on SVT1 in the Sunday 21.00 slot. According to the channel, this performance is comparable with The Bridge (Bron/Broen). Midnight Sun also trended at number two on Twitter – and online viewers, which are still to be added to the count, could pass 200,000. The show also secured strong reviews in the Swedish media, with five stars out of five in Aftonbladet. Elsewhere in Scandinavia, Midnight Sun will premiere on RUV on December 5. DR, NRK and MTV3 are likely to air the show, which is distributed internationally by StudioCanal, in early 2017. Nobel: Trapped and Nobel were among 26 European fiction TV series selected for the Prix Europa Media awards last month. Trapped, an Icelandic crime show, won Best European TV Series while Nobel, a Norwegian political/war drama, won Best European TV Movie/Miniseries. 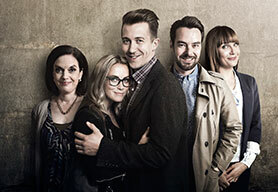 Nobel was described as “a precisely crafted original script, perfectly executed and directed, that takes the viewer on a journey into a world of lies, betrayal, mistrust and political games.” Produced by Monster Scripted for NRK, Nobel secured 800,000 viewers for its first episode across NRK1 and NRK streaming service NRK.TV. Both Trapped and Nobel were supported by Nordisk Film & TV Fond. Nobel was directed by Per Olav Sørensen, who also directed The Heavy Water War. Watchdog: At last month’s Mipcom market in Cannes, ZDF Enterprises announced an exclusive first-look rights deal for all scripted content from the Finnish producer Fisher King. Matti Halonen, Fisher King MD and producer, said: “ZDF Enterprises is a well-established company that can give a lot of support to a smaller player like Fisher King.” The first joint project that ZDFE is working on is the upcoming political thriller series Watchdog. Set in present-day Helsinki, The Hague and London, it’s described as an adrenaline trip into the heart of European justice policy and security regulations concerning source protection and privacy insurance. Fisher King is also behind Bordertown, which is represented worldwide by Federation Entertainment and has been sold to Sky Deutschland and CanalPlay France, while English-language series Crypted is also in its pipeline. Deadwind: Paris-based financing and distribution boutique About Premium Content (APC) recently picked up Finnish crime drama Deadwind. The 12-part series is about a detective in her 30s who is trying to get over her husband’s death when she discovers the body of a young woman on a construction site. At Mipcom, APC launched Norwegian drama thriller Valkyrien, which is produced by Tordenfilm for NRK. It also distributes another Norwegian show, the youth-oriented Young & Promising, which was recently sold to the UK, Germany and France and has a US deal is in negotiation. Hassel: Speaking to the Nordisk Film & TV Fond about Viaplay’s strategy for coproducing original content for the Nordic region, CEO Jonas Karlén said upcoming original Nordic scripted series on Viaplay include Swedish Dicks, Svartsjön/Black Lake, Hassel, Our Time Is Now and Occupied season two. Hassel is a Nordic noir starring Ola Rapace as the iconic detective created by author Olov Svedelid. The show is produced by Nice Drama in coproduction with Beta Film, which handles global sales, and is due to launch in late 2017. Spring Tide: Eight brand new Nordic TV dramas have been selected for The Lübeck Festival’s Nordic Film Days. “TV drama is the big new thing. 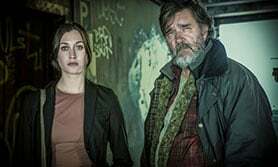 It was time for us to open up our festival to TV series, as Germans are so fond of Nordic noir,” said the festival’s long-time artistic director Linde Fröhlich. Shows to be introduced include Splitting Up Together (DK), Living with my Ex (FI), Trapped (IS), Nobel (NO), and Modus, Hashtag and Spring Tide (SE). The latter crime drama, based on the novel by Rolf and Cilla Börjlind, is about two cops who come together to solve the murder of a pregnant woman. The show is distributed internationally by Endemol Shine International. 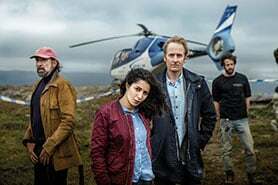 Below the Surface: This is a new drama based on an idea by Adam Price (Borgen) and Søren Sveistrup (The Killing) – now principals in Studiocanal-backed firm SAM. The thriller series centres on an operation to rescue 15 hostages from a Copenhagen subway train. Price and Sveistrup said: “There is something both eerie and fascinating about [taking hostages] as a criminal act. The close and complex relationship between the hostage and hostage-taker immediately opens up strong character-development possibilities and can also put a number of highly topical issues about our time to the forefront, such as fear of terrorism.“ The eight-part series has received DKK14m (US$2.08m) in production support from the DFI’s Public Service Fund and will air on Kanal5/Discovery Networks. Skam: Cult Norwegian youth series Shame (Skam) launched on NRK and was recently acquired by DR3 for Denmark. Danish newspaper Politiken called it “a youth series about high-school life that makes Norway cool for the first time.” Steffen Raastrup, director of DR3, said: “The series’ premise is that when you’re young, you should not be ashamed of who you are but stand up for yourself and deal with the fear that many feel during their formative teen years.” Skam – which is now up to three seasons in Norway and is a strong performer on social media – has also been acquired by SVT in Sweden and RUV in Iceland. Interference: This is an eight-part English- and French-language sci-fi thriller in development by Stockholm-based Palladium Fiction. Palladium, which is minority-controlled by Sony Pictures Television (SPT), is producing the show alongside Atlantique Productions. SPT is distributing the show internationally. The Palladium team was also behind the critically acclaimed drama Jordskott, and is now working on a second season of the show. Palladium is also developing an English-language project with UK writer/producer Nicola Larder. Established in 1990 and based in Oslo, the Nordisk Film & TV Fond’s primary purpose is to promote film and TV productions of high quality in the five Nordic countries (Denmark, Finland, Iceland, Norway and Sweden). It is funded by 17 partners: The Nordic Council of Ministers, five national film institutes/funds and 11 public service and private TV stations within the region. Its annual budget is approximately NOK100m.